Because of a few infamous pastors, the public’s perception is that all of us are making a huge salary and driving expensive sports cars. They think we’re in it for the money, owning big houses and spreading our wealth across multiple bank accounts. We both know better than that. If we were in it for the money, we would be in another profession. The fact is, most pastors struggle to make ends meet. Some do well. But many in smaller churches are bi-vocational, working another job to supplement their church income. I know quite a few pastors who are paid nothing. We don’t do it for the money. We do it for the Lord. Saving money is hard when you’re just trying to buy gas to visit a church member in a hospital 75 miles away. 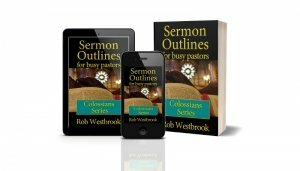 Or buy resources for your ministry. Or paying bills and putting food on the table. When that’s the case, saving money for retirement is just a dream. A few years ago, I read somewhere about an app I could use to invest in my retirement. Starting with just a few dollars. So I downloaded the app and started using it. This app has given me the ability to build a small, but growing retirement fund. The app is called Acorns. Acorns advertises with the slogan “Invest your spare change.” The concept is novel. You are able to slowly grow your retirement, literally, with your pocket change. Acorns uses what they call “round-ups.” Acorns links to your checking account, debit and credit cards. When you use your cards, you are rarely charged an even amount, like $4.00 or $20.00. Usually it is more like $4.37 or $10.24. Acorns takes the $4.37 and rounds it up to $5.00. Then that $0.43 is added to your round-ups. After some time, those round-ups add up. When the round-ups reach $5.00, the $5.00 is transferred from your checking account into your Acorns account for investment. Acorns has various investment plans, with stocks, bonds, and other items. (more on this later). You can also just do recurring transfers, to supplement the round-ups, or not use round-ups at all. You download the Acorns app onto your phone. If you don’t use a smartphone or don’t want to use an app, Acorns also has a website that does everything the app does. For the rest of this post, I’ll be referring to the app. The steps on the website are the same. Like almost any other app, you create an account with your email or username and a password. I use an iPhone, so I can also use the touch feature for logging in. You fill out a profile that helps Acorns chose the best investment plan for you. The next step is to link your checking account. This is the account where the round-ups and recurring transfers will come from. The screenshot above is just a sampling. Almost every bank in the USA is available. At this point, you add all the credit and debit cards you want Acorns to track. You can add them all if you have more than one, or just one that you use most. It’s up to you. These cards are where the round-up calculations come from. You can use their recurring investment plan. You can select an amount you want to automatically transfer into your Acorns account. For example, I invest $10.00 per week. This is in addition to the round-ups. You can also invest any amount at any time you want. Acorns pre-selects an investment strategy based upon your profile. You can change it to match your risk tolerance. There are five choices: Conservative, Moderately Conservative, Moderate, Moderately Aggressive, and Aggressive. You can see the breakdown of how your investment is divided between stocks and bonds. When you earn dividends, they are automatically reinvested into your account. You will get notices when this occurs. Acorns give you complete details on how your investment is doing. There are charts and balance details. Acorns has partnered with various retailers to invest a percentage of your purchases. For instance, I use Dollar Shave Club for my razors and supplies. Every time I purchase from Dollar Shave Club, a small percentage is invested into my account. I think they have over 250 different retailers participating. The basic Acorns core, which is what I use, is $1.00 a month. The other two plans cost $2.00 and $3.00. That’s the total cost. Acorns has three different investment options. One is Acorn Core, a basic investment plan. The second is Acorns Core + Acorns Later, an IRA. The third option is Acorns Core + Acorns Later + Acorns Spends, which adds a checking account. When I first began, they only had the basic plan available. I don’t use the others. Whenever I’ve needed to dig into my money (and I have twice), the process was simple. Enter the amount you want to withdraw, and it is deposited into your checking account with 2-3 days. No hassles. No problems. The referral plan Acorns offers is nice. For every person you refer to Acorns, and they open an account, Acorns invests $5.00 into your account. I’ve done that several times and they do deposit it immediately. In fact, if you open an account through the links on this page, you will receive a $5.00 bonus just for opening an account and I will receive a $5.00 referral bonus, too. Regardless of whether your church helps you with a retirement plan or not, using Acorns is a smart move for pastors. It’s a “set it and forget it” plan. Acorns may not ever grow as large as some other investment offerings but it can provide a good supplemental retirement plan. The round-ups are basically investing your pocket change. But the return is much better than putting your change in a glass jar. I think Acorns is a good idea for pastors. Click the button below and check it out for yourself.